Due to his small stature and playful nature, many assume they are meeting a kitten upon first introduction to Purrnino. But this handsome boy is really an adult cat inside a kitten’s body. We transferred Purrnino to Tree House from an animal control center in 2016. Paperwork listed Purrnino as a pregnant female kitten, approximately six months old. To our surprise, during his initial clinic exam at Tree House, we quickly discovered that not only was Purrnino not pregnant, she…was a he. When Purrnino arrived, he was very frightened, and our staff had difficulty handling him – he would back into a corner of his cage, hiss, and place his ears flat against his head. But with care and work on his socialization and environment, this little guy’s progress has been remarkable. He has become increasingly comfortable and now enjoys visitors. He will roll around in a cat bed asking for pets. With the recent adoption of our longest-term resident, Mitch, Purrnino has now been waiting at Tree House the longest for a forever home. Shortly after arriving at Tree House we noticed Purrnino was drinking and urinating excessively. And, he was not growing. Various tests finally revealed a rare disease called diabetes insipidus. With this disease the body does not properly conserve water, causing the excessive drinking and urination. Purrnino responded very well to medication, and his condition is stable. His prognosis is very good and with medication and management of his illness, he can live a good quality of life with a normal lifespan. He never physically matured and remains the size of an older kitten which may be related to the diabetes or an issue with his pituitary gland. His small size makes him very cute, but he has the personality and independence of an adult cat – all of which makes him even more adorable! Purrnino loves playing with other cats. With an ever-changing population, he greets new cats, ready to have a new buddy. Yet, shelter life can be very stressful, and Purrnino is a cat who has been challenged with the constant change and uncertainty of his environment. We know this pretty little cat would do better in a stable home of his own, especially with some cat buddies. 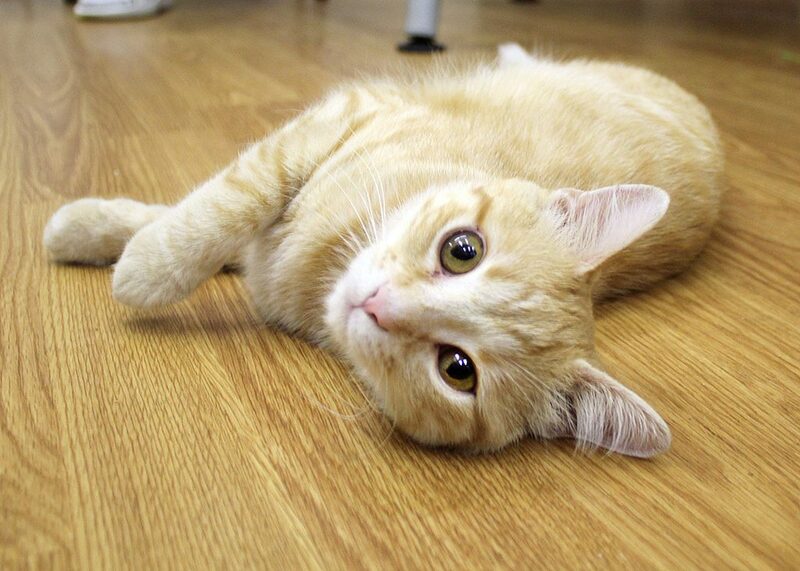 Stop by and meet Purrnino and help us spread the word to find him the forever home he needs.